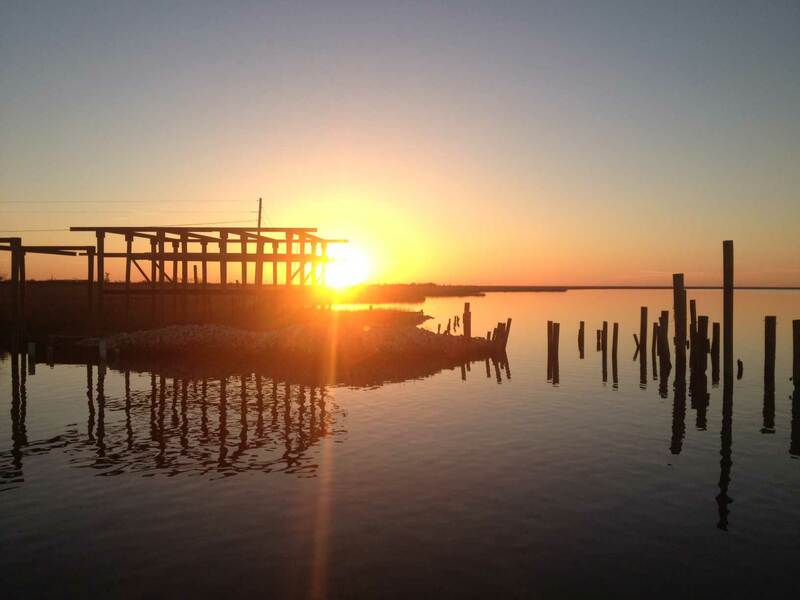 Although you probably won’t see it on QVC during your next late-night insomniac stint, the new, hip workout in South Louisiana is the Hopedale Hop. It involves busting your biceps on line-stripping redfish, shredding your deltoid lifting speckled trout over the gunwale and then powerlifting the anchor over and over again. Capt. Britt Ordes has developed and refined the program, and if its cardiovascular benefits at all match its productivity, he ought to live to be 120. Ordes made a trip Tuesday with two clients who wanted to catch nothing but speckled trout and fish nothing but artificial lures. No problem. By mid morning, using the Hopedale Hop technique, fish No. 75 was flopping in the icy slush of the cooler. The guide has been finding easy limits of specks, reds and drum, but that doesn’t mean he’s not putting a little work into it. Anglers who like to throw out the anchor, sit on one spot and have a picnic all day probably won’t have much success right now. “They’re not in bunches,” Ordes said. “You go to one spot, you catch five or 10, go to another spot and you may catch a dozen. You’ve got to stick and move — small islands, points, major coves. Ordes has been focusing on Lake Robin, Bay Lafourche, Lake John and Four Horse Lake, and the water in those areas has been exceptionally high lately, a result of the recent easterly winds. That’s a favorable scenario on the east side of the Mississippi River because the water coming into the marshes is the salty, green stuff from Breton Sound. 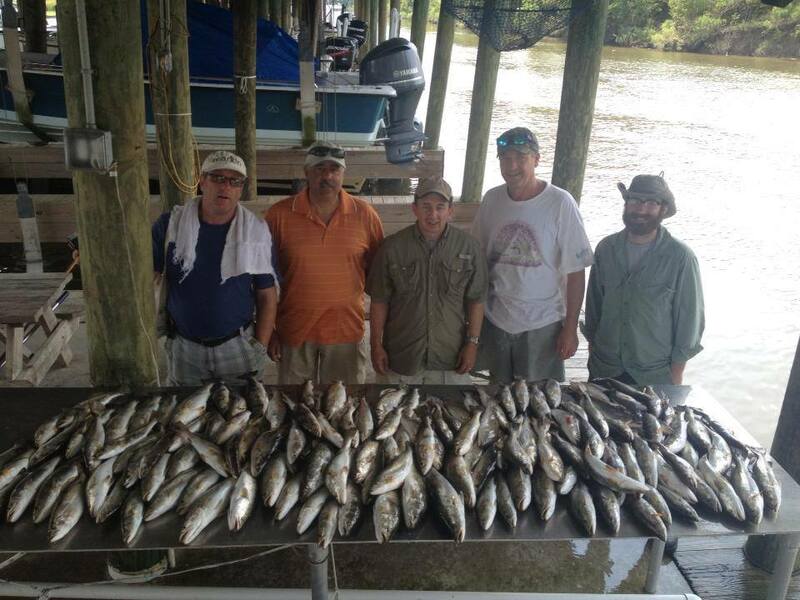 On Tuesday’s trip, Ordes and his clients threw shrimp creole and green hornet Matrix Shads, but he’s also been using live shrimp. That’s never been an option in April, but now bait shops can sell it year round. Ordes seldom leaves the dock without it. The fish he’s been cleaning have been loaded with the crustaceans. Hopedale speckled trout have been hitting soft-plastics, but wise anglers will also bring along some live shrimp as insurance. “(The trout) have lots of shrimp in their bellies — some minnows, but mostly shrimp,” he said, adding that the shrimp are in the 50-count range. Live shrimp are especially helpful for anglers who want to add some color to the box. 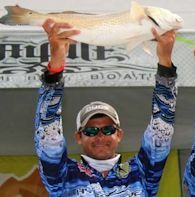 The redfish and black drum fishing has been off the charts, Ordes said, and the fish want absolutely nothing that wasn’t just dipped out of a livewell with a bait net. “The redfish and drum are really thick right now — easy, easy limits,” he said. “You want to use live shrimp about a foot under a cork, and throw it right up against the bank in coves, points, anything with moving water right now. The drum have been in the sweet zone that anglers love, 18 to 20 inches. The redfish, however, have been substantially larger, Ordes said. In fact, the only problem anglers will face is finding fish in the 16- to 27-inch slot. Ordes has been catching some reds along the same major-lake shorelines where he’s catching his trout, but many of the fish have moved shallow with the high waters. The reds, drum and specks may take a couple of days off this weekend thanks to yet another cold front, but the hot bite will resume as soon as the wind shifts back to the east or south. When that happens, anglers shouldn’t be scared off by the speed of the wind, Ordes advised.